Real Madrid have won their last seven La Liga games against Levante. They have never won eight in a row against them. The Valencians have been shut out against Real Madrid in three consecutive La Liga games. Levante have won only one of their last 10 visits to Santiago Bernabéu (L9), 0-1 in 2007 with a Salva Ballesta goal. Real Madrid have not conceded fewer goals after seven La Liga games since the 1997/98 season (one). Rafa Benítez’s team has had the most shots on target in La Liga (54), while Levante have had the fewest (21). Cristiano Ronaldo has equalled his worst goalless streak with Real Madrid in La Liga, four games in a row. He has never gone five games in a row without scoring. With six goals in seven games, this is Benzema’s best ever beginning to a La Liga campaign. Deyverson is the second Brazilian player to score for Levante since their last promotion to the top-flight of Spanish football (after Rafael Martins). Eibar have never beaten Sevilla in the top tier (D1 L1). Sevilla have conceded at least once in six La Liga games in a row, their worst streak since 2013 (11). The Basque team have only lost one of their last nine La Liga games (W4 D4), at home against Atlético (0-2). Unay Emery has won only on one of his last six visits to el País Vasco as a manager in La Liga. It was in the last one against Eibar (1-3). 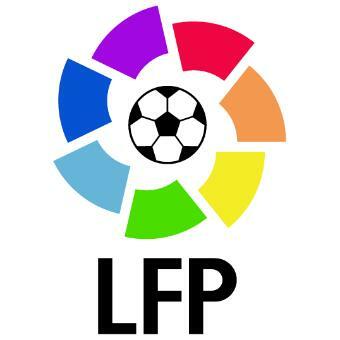 Eibar are the team with the lowest ball possession ratio in La Liga (40.64%). Only Villarreal (22.64%) have a higher shot conversion rate than Eibar (22.22%) this season. Krohn-Deli is the first player to score and assist in the same game for Sevilla this season in La Liga. No player for either side has assisted more than once this season in La Liga. Borja Bastón has scored Eibar’s last four league goals. Barcelona have recorded nine wins in a row against Rayo, scoring 40 goals and only conceding two. The Catalan team have only been shut out twice in their last 74 home games in La Liga. Rayo have alternated between winning and losing in their last four away games; the last one was a defeat against Sevilla. Barcelona have not conceded as many goals after seven games in La Liga as they have this season (9) since 2005/06 (10). Luis Enrique’s team have lost two of the three games in which they conceded the first goal in the league this term. Trashorras is the player with the most passes completed in La Liga this season (551) and he is only outnumbered by Modric (340) for most passes completed in the opposition half (323). Neymar (2) and Suárez (2) have scored all four Barcelona goals in the team’s last three La Liga games. Malaga have never won in their 14 visits to the Mestalla in La Liga (D3 L11). Valencia have scored at least once in all 14 La Liga games at home against Málaga. Valencia have gone 15 La Liga games in a row at home without defeat. They have not had a better streak since 2005-06 (19). Málaga have been shut out in their last three away games. They have not been shut out in four away games in a row since November 2011. Only Lille (4.49%) have worst shots/goal ratio than Málaga (4.55%) in the top five European Leagues this season. Valencia have conceded the joint-fewest shots on target at home in La Liga this season (7), equal with Real Madrid. Charles became the first player to score a hat-trick for Málaga since El Hamdaoui in September 2013. All four of Valencia’s goals in La Liga in this season have been scored by a different player; Negredo, Alcácer, Mustafi, Parejo. Betis have gone seven games in a row without defeat against Espanyol at home (W2 D5). Betis have two wins in a row in La Liga. They have not won three in a row since January 2012. Espanyol have lost three of their last four La Liga away games. In each of those defeats they conceded three goals. Pepe Mel has only won one of his six games in the top tier as a manager against Espanyol (D2 L3). Betis have conceded the most shots on target in La Liga this season (45). The Catalan team have the highest goal ratio from set play situations in La Liga this season (71%). Betis are the team to have won the most points this season having conceded the first goal (4). Rubén Castro has been involved in six of his side’s seven goals this season (4 goals, 2 assists). Villarreal won both games against Celta in 2014/15, with seven goals scored and two conceded, their best numbers against any team last season. Celta lost 4-1 on their last visit to El Madrigal, the most goals conceded in a match with Berizzo as manager. Villarreal have won their last five games at home in La Liga, scoring 10 goals and conceding only three. Celta have gone 12 games without a defeat in La Liga (W6 D6). They are two games away from their best streak without defeat in the top tier (14 in 2001). Nolito has been involved in eight goals (5 goals, 3 assists) this season; more than any other La Liga player. Celta have never conceded a goal to Roberto Soldado. They are one of the five teams Soldado has faced but never scored against in the Spanish top-flight. Villarreal are the team with best shots/goal ratio in La Liga this season (22.64%). Celta have scored the most goals from inside the box in La Liga this season (15). Real Sociedad have only won two of their last 10 games against Atlético in La Liga (D1 L7). One of these wins was in the last game between them at the Anoeta (2-1 November 2014). Atlético have won four of their last five games in the Anoeta (D1), more than at any other away ground since 10/11. Anoeta is the stadium in which Simeone has won the joint-most La Liga away games, alongside the Sánchez Pizjuán (three wins in each). Real Sociedad have gone four games in a row at home without a win in La Liga (D2 L2). They have not gone five in a row since December 2006, a season where they relegated into the second tier. Atlético have lost two games in this La Liga season, the same as in the whole second leg of last season. Agirretxe has scored 83% of his team’s goals this season, the highest ratio of any player in La Liga. Griezmann has scored 25 goals in 44 La Liga games with Atlético at a ratio of 0.57 goals per game. For Real Sociedad he scored 40 goals in 141 games (0.28). Real Sociedad have seen more opposition yellow cards than any other side this season (27). Atlético have scored a league-high three goals from outside the box this season, only two less than in the whole of last season (five). This will be the first game between Getafe and Las Palmas in the top tier. Their last game was in the second tier, in 2004, with Getafe winning 3-0. The side from the Canaries never won against Getafe away from home in the second tier (D1 L2). Getafe have only lost one of their last four La Liga games (W2 D1), conceding in only one of them. Las Palmas have only won twice in their 66 visits to Madrid in the top tier, both against Atlético (1-2 1967 and 1969). Fran Escriba’s team have scored 67% of their goals in the last 15 minutes of games, the highest ratio this season. Las Palmas have not won away in the top tier since December 2001, when they won against Tenerife 1-3. Getafe have seen the most individual players receive a yellow card this term (17). Jonathan Viera has fired in 26% of his side’s shots this season; only Cristiano Ronaldo (38%) and Nolito (28%) have higher ratios for their teams. Las Palmas is the team with best cross ratio in La Liga (30%). Deportivo have only lost one of their last 13 La Liga games against Athletic (W7 D5). It was at the San Mamés in May 2010. Athletic have not won in their last six visits to the Riazor (L5 D1). Their last win away against Depor was in December 2006 (0-2 with Mané as manager). Deportivo have won more games (34) and have scored more goals (120) against Athletic than against any other team. Deportivo have only lost one of the first seven La Liga games of the season. The last time this happened, they finished the campaign in third (season 03/04). Lucas Pérez has scored 10 goals in La Liga since the start of last season, at least six more than any other Deportivo player in this period. Aritz Aduriz has scored against Deportivo with three different teams in La Liga (Mallorca, Valencia, Athletic). He scored in Valencia’s win against Deportivo in 2011 that saw the Galician side relegated from the top tier. A league-high 15 different players have come off the bench to play for Athletic in La Liga this season. Deportivo have conceded fewer shots than any other team in this La Liga season (59). Athletic have conceded five goals from set play situations, more than any other La Liga team. Sporting have only won one of their last five games against Granada in the top tier (D2 L2), 2-0 in October 2011. Sporting have beaten Granada in eight of their previous 10 top-flight home clashes (D1 L1). 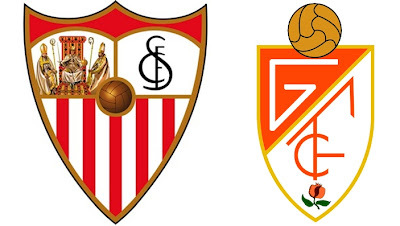 Granada have only won once in 20 visits to Asturias in the top tier, back in 1959 (0-1 to Sporting at El Molinón). Of sides they have faced at least 10 times, only against Cadiz (90%) do Sporting have a higher La Liga win rate at home than they do against Granada (80%). With Sandoval as manager, Granada have only lost two of five away games (the last two). In none of them did they concede more than one goal. Sporting have lost the two games in which they have conceded the first goal this season. Granada are the only team to have conceded at least one goal in every game this season. Alberto Lora is the defender with the joint-most assists (3) this season, alongside Hugo Mallo. Sporting have made more clearances (217) and more headed clearances (112) than any other La Liga side this season.